Welcome to Insurtech Insights. This month we are featuring the ‘Connected Enterprise’. A topic that’s really all about customer focus in the extreme. For those of us already embarked on our own InsurTech journey, the customer is a constant in our design considerations. And why not? We see extreme customer focus exemplified in many of our daily digital interactions, with the likes of Google, Amazon and Facebook. So much so, that we’ve come to expect such treatment and consideration as standard in all our online experiences. And so it is, we come to a jarring halt on our favourite incumbent insurer’s website, as we are asked to download the PDF (well it’s electronic isn’t it?) form to make our ‘online’ insurance purchase. As simple as it might seem, becoming a Connected Enterprise means undoing nearly 50 years of IT legacy and centuries of accepted insurance practice. Not so easy. Personally, I feel insurance organisations need to have a revised structure to help kick-start this change in culture. I would recommend a ‘customer proposition’ department to be created. Its sole purpose, to look at all data with the view of creating value for customers. This would be divorced entirely from marketing or sales considerations. Customers give their data daily to Connected Enterprises and in return these Enterprises need to give back value every day rather than at some point in the future. Customers really need to feel the love, to be connected. But I digress. In Tom Robert’s KPMG article, he outlines the steps insurers can take to become Connected Enterprises. 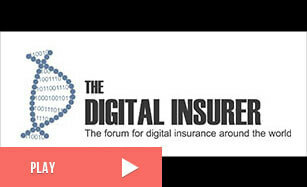 He sets out the case for why insurers should embark on this journey. What barriers they are likely to meet along the way. And the benefits they’ll reap as they become Connected Enterprises. There are examples of insurers that have already become Connected Enterprises. Their net promoter scores and the customer loyalty they have achieved are testament to the success of this approach. In Rick’s article this month, he homes in on Trov, Lemonade, and ZhongAn, as tangible examples of Connected Insurance Enterprises. He points out that, all these examples have been built from the outset with the digital customer in mind. Many incumbents try to emulate this experience, but as Rick highlights, the changes are only skin deep. They are likely to fail as incumbents neglect the core insurance processes. Both Tom and Rick note insurers are facing an existential crisis as they make this transition. Status quo is not an option. Which all goes to make this a timely reminder as we prepare for the end of 2018 and look forward to a glorious 2019. 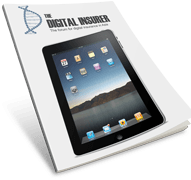 As usual, The Digital Insurer has provided a rich buffet of resources on this topic (see below) as a companion to our lead articles. Please take advantage of this information to accelerate your own digital transformation journey. Also, many thanks to you for your continuing support by reading this column and attending the InsurTech insights webinars. We couldn’t carry out our important role without you. Rick Huckstep looks at the fundamental impact of InsurTech on driving the Customer First, Connected Enterprise agenda forward among insurance incumbents. As insurer’s find themselves competing in an omni-channel and personalised world Tom Roberts outlines a five-step approach to becoming a Connected Enterprise.